Home Heat Services are based in Otley, West Yorkshire. We specialise in all aspects of heating repairs as well as full installations and boiler upgrades. We cover the whole of Wharfedale and the surrounding areas which include Bradford, Leeds, Ilkley, Burley in Wharfedale, Pool, Yeadon and Guiseley. 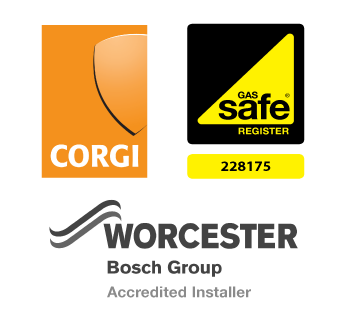 We are Worcester Bosch condensing boilers accredited installers and repairers. We work on all other makes including Vokèra, Vaillant, Baxi, Ariston and Ideal. Our skilled and fully qualified team are experts in safety and perform comprehensive landlord safety inspection checks. We ensure that all work is finished to the highest standards and meets with statutory regulations. We are a Gas Safe Registered company are also part of the corgi membership scheme. As well as natural gas we carry out work to the LPG Certified standard. We pride ourselves on providing the highest quality workmanship and will always put your needs first. Our customers are the reason for the continued success of our business and we will always endeavour to meet your requirements. I met Jeremy when I was in rental accommodation many many years ago and have used Home Heat Services over the last 12 years for heating and plumbing repairs/installations and servicing in my house. In addition Jeremy has provided me a range of information to questions I have raised when things haven’t worked and he has been quick to drop in, assess the problem and advise accordingly. When I moved into my current house, my boiler was not the best, on its last legs and he patched it up and fixed it until the time came to replace it. His team replaced the boiler as well as adding more powerful radiators. In recent years my needs have been more servicing and maintenance. They are professional and I am pleased their work is to a very high standard. They are friendly, respectful to your house and clean and tidy up after themselves. They pay attention to detail and I will be using their continued service in future years. I highly recommend Home Heat Services for any of your heating/plumbing needs and be assured you will receive advice and great service to meet your individual needs.